Hydronic heating systems have the potential to deliver a precise rate of heating when and where it’s needed within a building. The key word in the previous sentence is potential. Without proper design, and proper balancing, that potential seldom becomes reality. In the context of hydronics, balancing refers to the adjustment of valves to direct flow within a heating system so that the desired interior comfort levels are achieved and maintained in all areas served by the system. Many systems, including 2-pipe direct return and manifold-based distribution, use parallel circuits to deliver a portion of the total system flow rate to individual zones within a building or individual heat emitters. Ideally, every zone or heat emitter in such systems would be identical to the others. Each would need to deliver the same rate of heating, and each would have identical branch piping. Thus, each would need an equal percentage of the total system flow rate. Such ideal systems seldom exist. Instead, a more typical system will contain several different sizes or types of heat emitters, connected to the heat source using different types, sizes, or lengths of tubing. When such a system is turned on, the flow rate that develops within each branch will be determined by the hydraulic resistance of that branch in comparison to the others, as well as the circulator used. There is no assurance that the flow rate in any given branch will not be capable of delivering the necessary rate of heat transfer to the heat emitter. Such a system may be properly designed and installed, but without the follow up of proper balancing, its performance is likely to fall short of expectations. 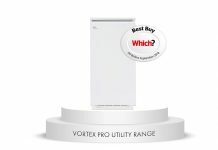 Most hydronic heating professionals agree that balanced systems are desirable. However, opinions are widely varied on what constitutes a balanced system. 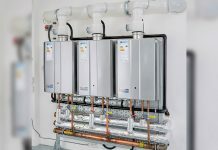 For the purposes of this article we assert that a properly balanced hydronic system is one that consistently delivers the proper rate of heat transfer to each space served by the system. At first this definition may seem simplistic, but it ultimately reflects the fundamental goal of installing any heating system. Whenever a heating system is designed, the intent is to deliver the proper rate of heat transfer precisely when and where it’s needed within a building. Without proper balancing hardware and adjustment, that goal is almost never achieved. The most obvious consequence of an improperly balanced system is lack of comfort, which is usually attributed to room air temperatures that are too low, too high, or both. Wide variations in interior temperature often lead to problems beyond the lack of comfort. 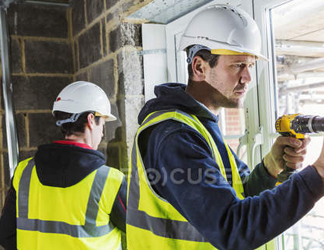 When some areas of a building cannot be warmed to the desired room air temperature, issues such as frozen piping, shrinkage cracks in wood and drywall surfaces, condensation on windows and growth of mould and mildew can occur. Some other undesirable conditions include high flow velocities in piping components creating noise and possible erosion; or excessive energy use by circulators due to overflow conditions. In addition, you can also be left with circulators that operate at low efficiency, or circulators that operate at high differential pressure, which increases the potential for damage of bushings or bearings. To overcome these problems, it is normal practice to install various balancing devices. These include static balancing valves and dynamic balancing valves. The designer of any system calculates the flow rate required to each terminal unit and selects the type and size of the balancing valve to control the flow based on the type of pumping system utilised (constant speed or variable speed). Variable speed pumps are more common today, due to their ability to vary the flow rate to meet demand, thereby reducing flow rates around the system, reducing system heat losses and reducing pumping costs. This, in turn, increases system delta-T and system efficiency. Static balancing valves or manual balancing valves are conventional valves suitable for use in constant flow rate circuits. They are frequently used in conjunction with 3-port valves or downstream of the differential pressure control valves in variable volume systems. Dynamic balancing valves include Constant Flow Regulators, Differential Pressure Control Valves (DPCVs) and Pressure Independent Control Valves (PICVs). Constant Flow Regulators are modern automatic devices which respond to changes in differential pressure to maintain the design flow rate of the internal flow regulating cartridge. DPCVs are adjustable and respond to changes in differential pressure automatically, adjusting to maintain a stable differential pressure between the capillary insertion point and the valve body. PICVs control differential pressure across themselves, allowing a stable flow rate to be set on the valve regardless of any differential pressure changes upstream of the valve. The addition of a control head, ON/OFF or modulating, allows the valve to become the terminal unit control valve. 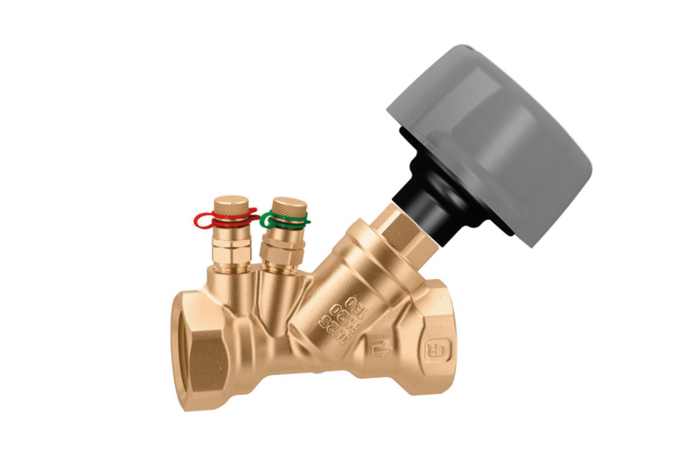 Altecnic has an extensive range of balancing valves for both domestic and commercial applications with many features and benefits – full information for these can be found on Altecnic’s website. 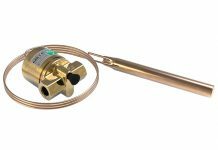 Pictured is the Caleffi 130 Series manual balancing valve – a Fixed Orifice Double Regulating Valve (FODRV) which uses a venturi to measure the flow of liquid passing through the valve. The venturi is located upstream of the double regulating valve which provides stable flow measurement during flow regulation. This also makes the valve quieter as the flow passes through the valve. Figure 1 demonstrates how regulation is performed using a knob that governs the movement of an obturator, to regulate the flow of the medium. The flow rate is controlled according to the value of ∆p that is measured with two connections suitably positioned on the valve.